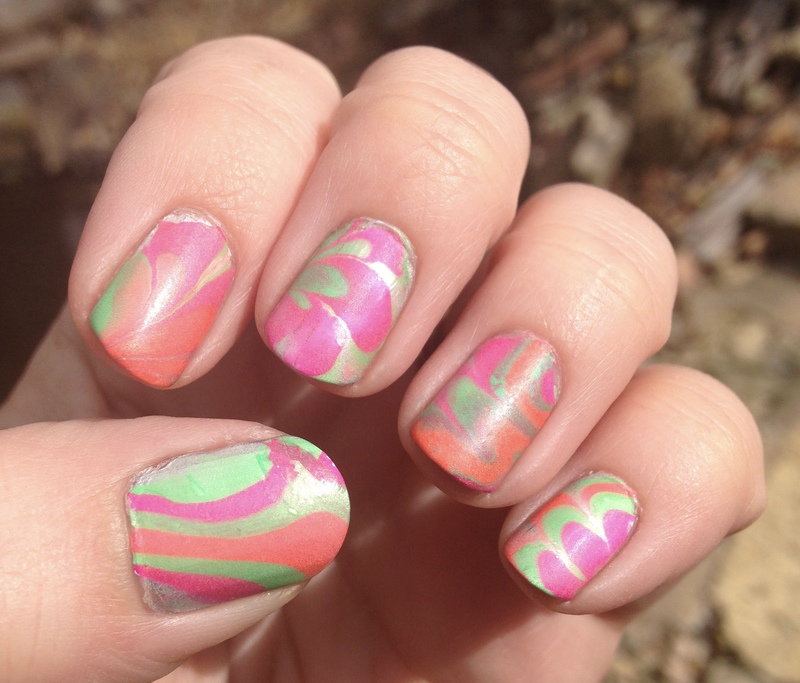 I was going for what I thought was going to be a sweet Halloween water marble, and the base for some Halloween decals. 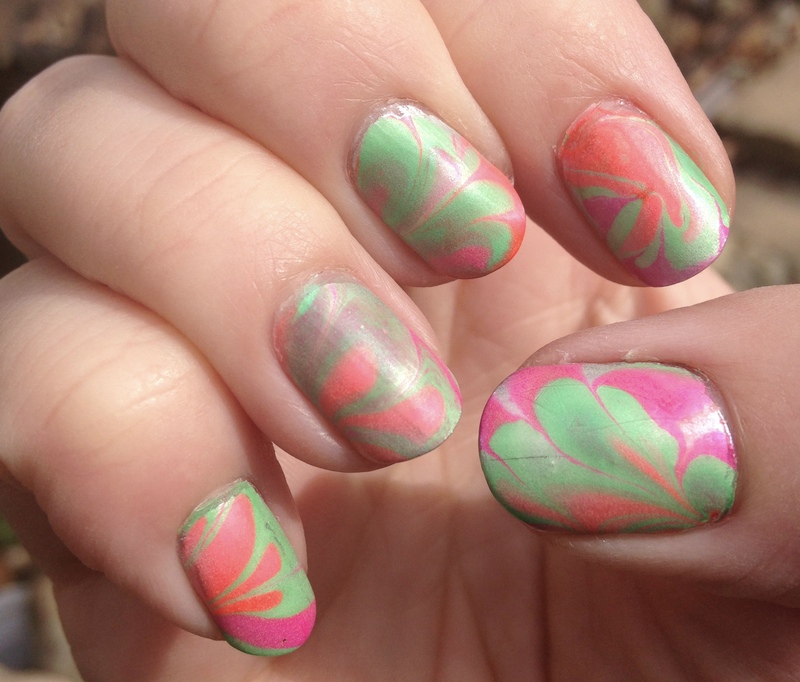 I didn’t exactly get what I had in mind, but I got a cute design for the week. 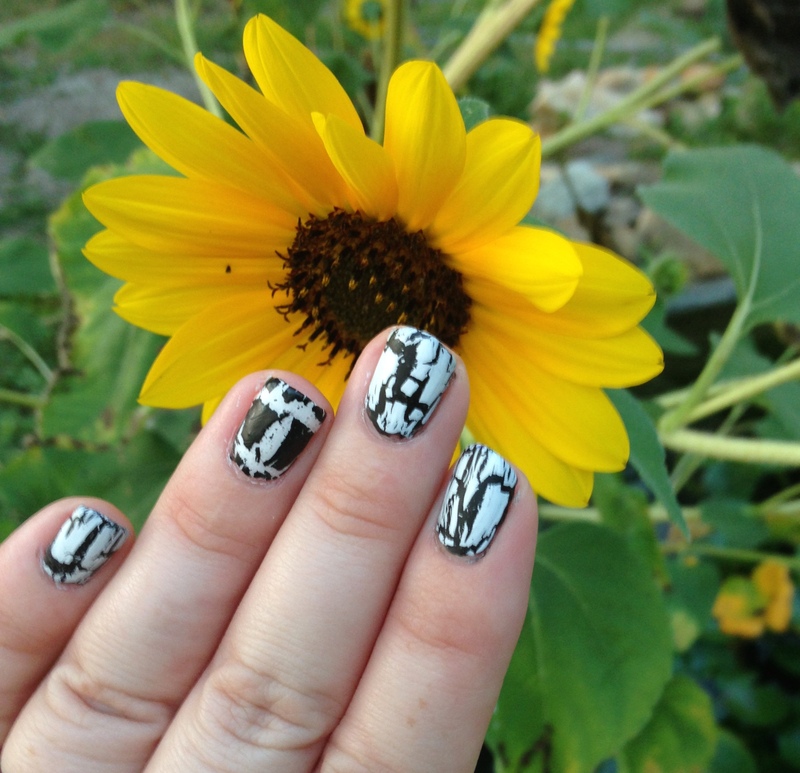 I painted all of my nails with this chrome base from OPI called Push and Shove. It truly is chrome when it dries. You can see your reflection in it. But it is VERY finicky when it comes to getting it applied. You want only one, smooth coat the first time. Anytime you go back over it, it bubbles it up. 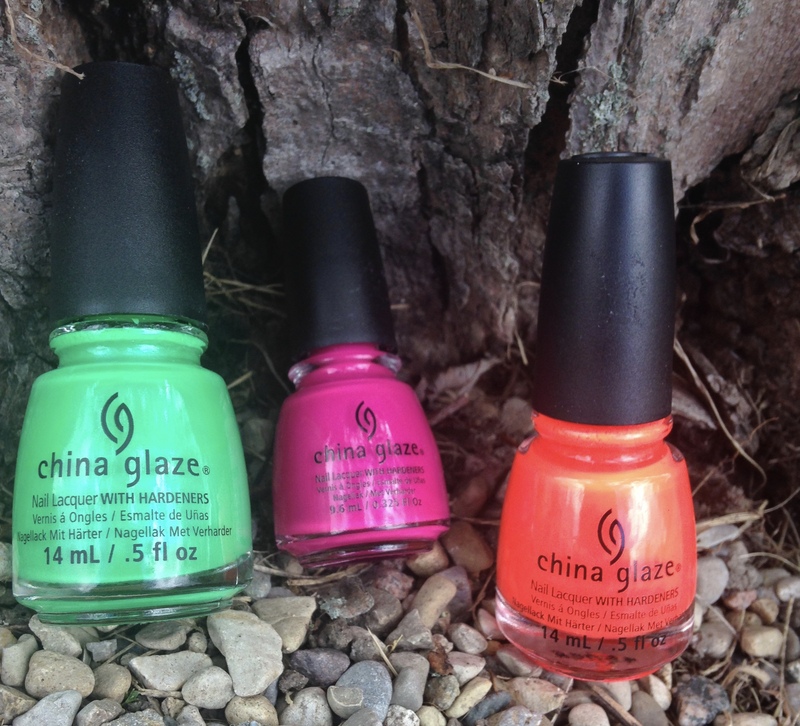 I chose these three China Glaze polishes, and I was picturing them staying these shades for the Halloween color combo. 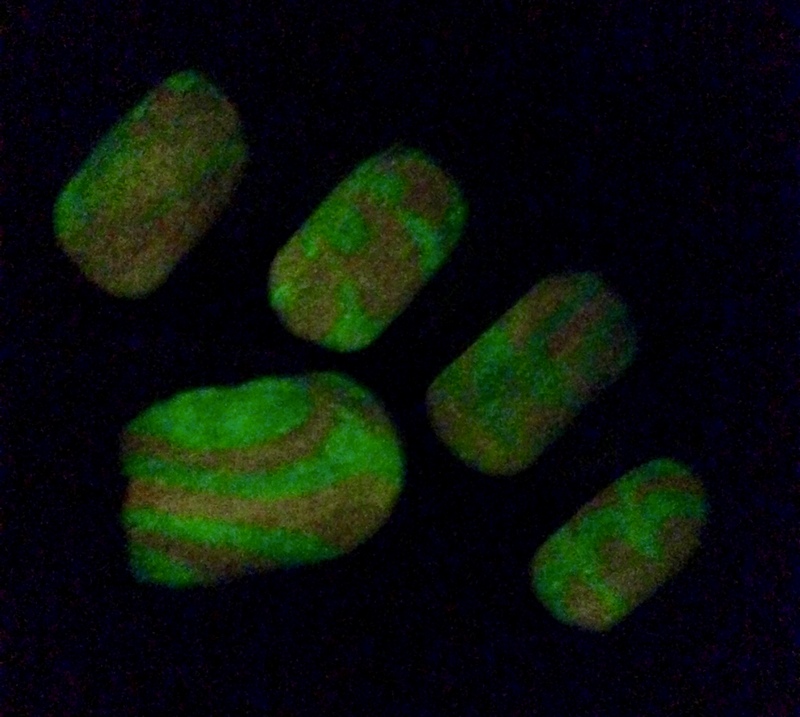 From left to right: In the Lime Light, Purple Panic, Pool Party. 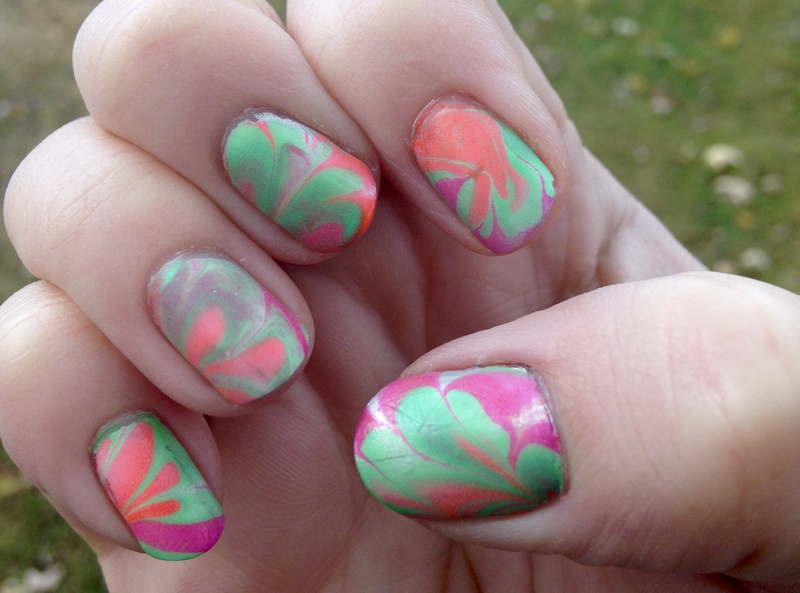 When I marbled it, it looked a little more like a neon type of thing than Halloween. 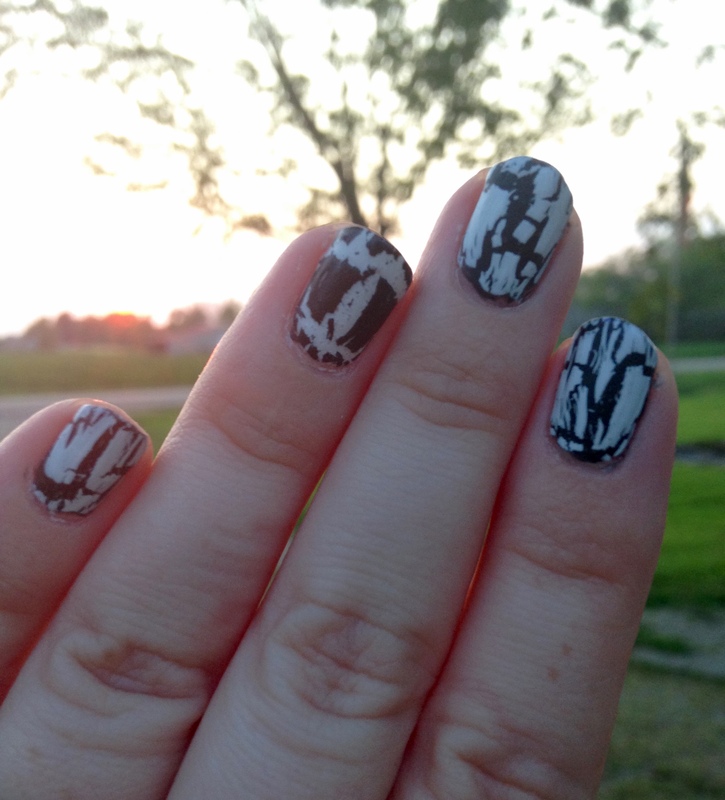 Rather than use the Halloween decals on a look that didn’t match that, I topped it off with Sinful Colors Glow in the Dark, and a matte top coat. I finished with a fun look, and was surprised by the fact that I could still see the colors of the polish under the glow polish. I really though that that would just be a top layer once the lights were out, and the other colors wouldn’t stand out. Hopefully a Halloween look works for me this week, and I hope your Halloween nails are coming together! The ones I have seen have been gorgeous! After multiple nail fails, I wanted something that I felt was pretty safe. 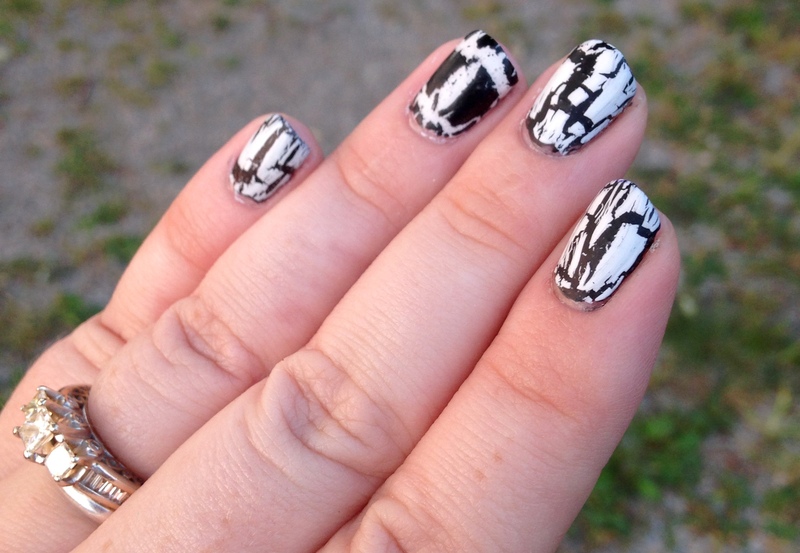 Black and white makes up half of my work wardrobe, crackle covers a multitude of mistakes, and no extra embellishments seemed to pave the way to the right idea. I used five polishes total. 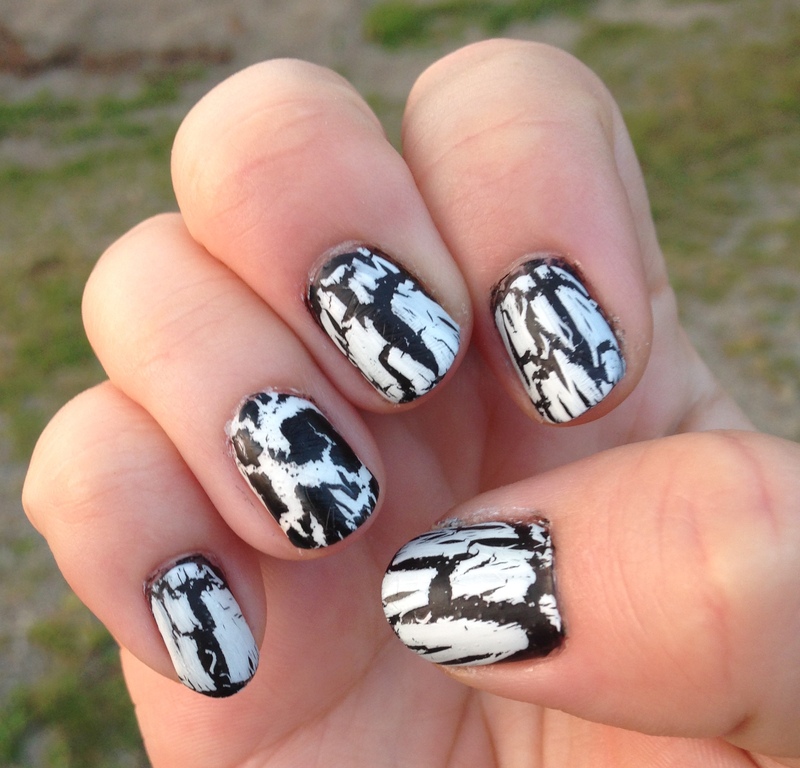 A black, a white, and then a black and white crackle, and the matte top coat. 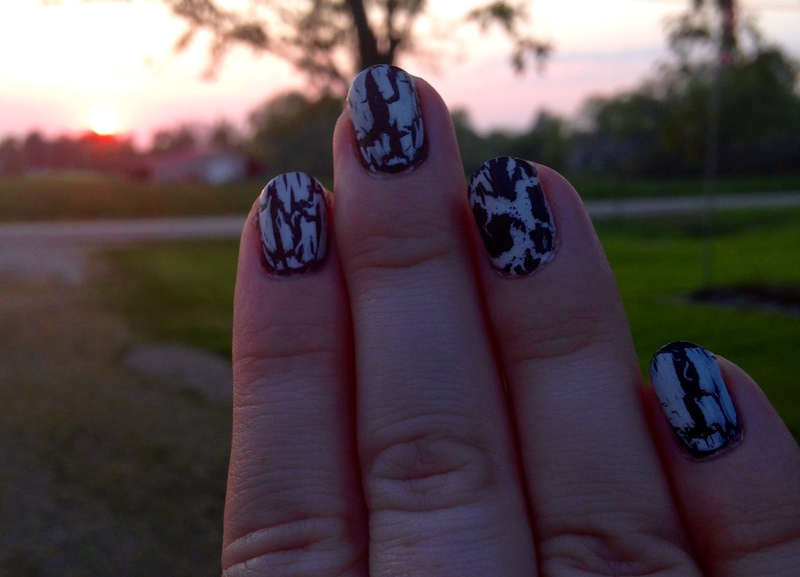 I painted all of my nails, except for my ring finger, with Sally Hansen Xtreme Wear Black Out. Two coats did it. 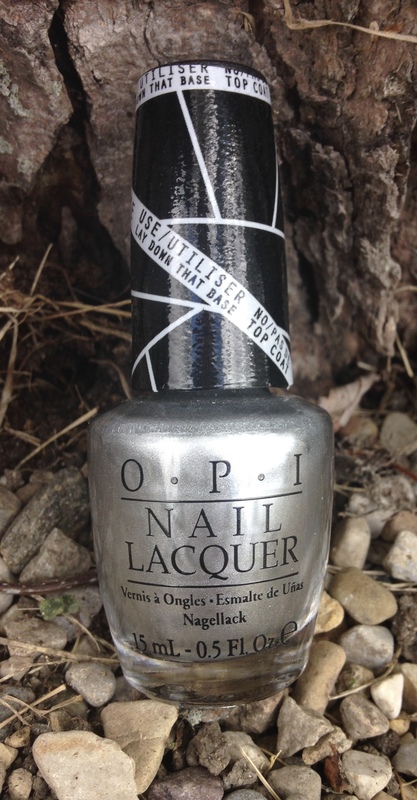 If you are looking for a nice black polish, I have never had any trouble out of this one. 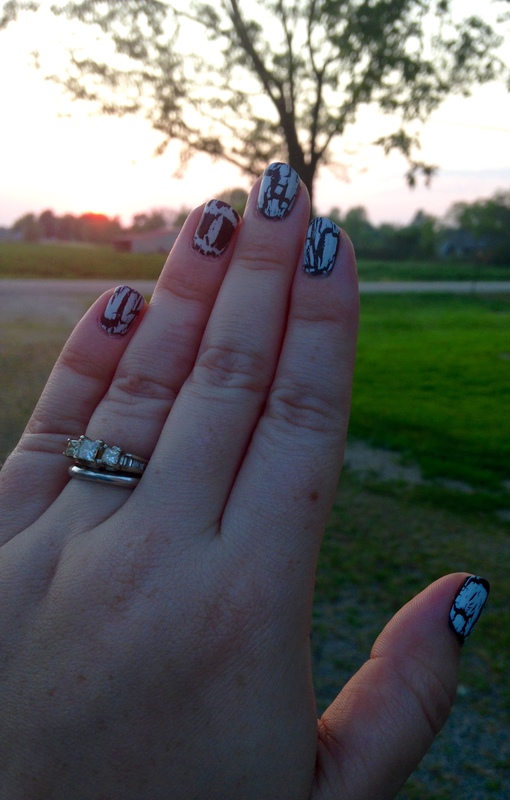 I used the Sally Hansen Big Crackle Top Coat Black On for the ring finger as a subtle accent. 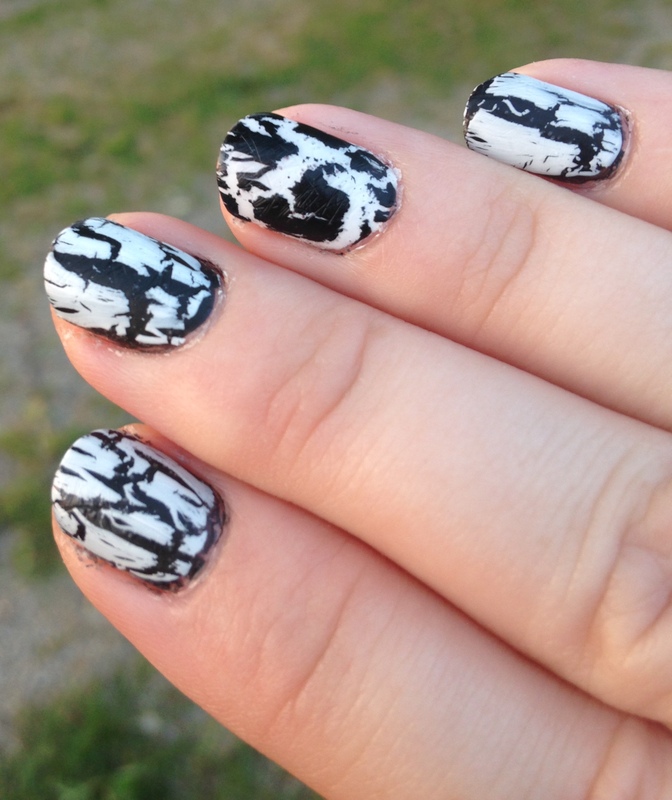 The Sally Hansen Crackle Overcoat Snow Blast was the topper for all of the fingers that I had painted black. 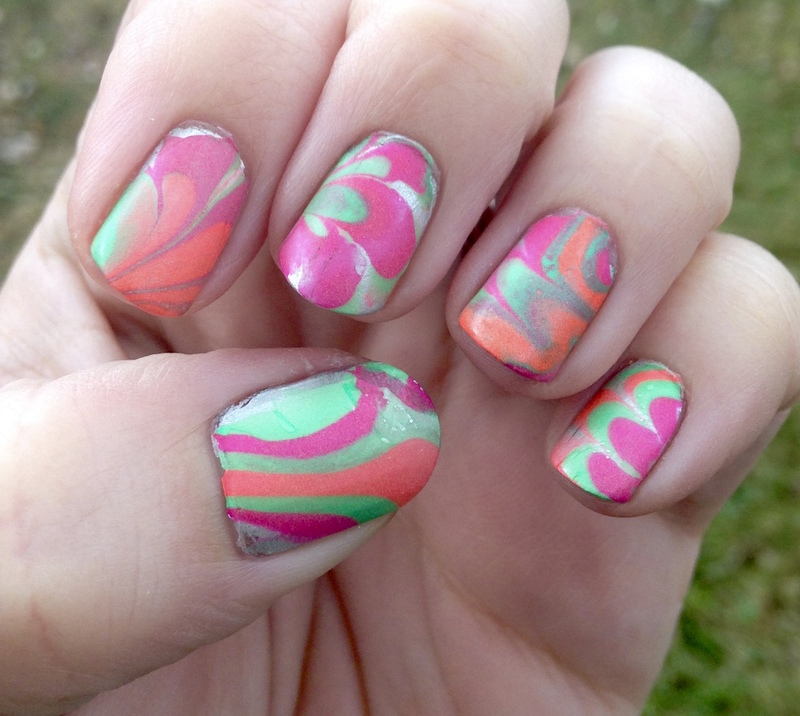 The Wet n Wild Megalast Whipped Topping was the base polish on my ring fingers. 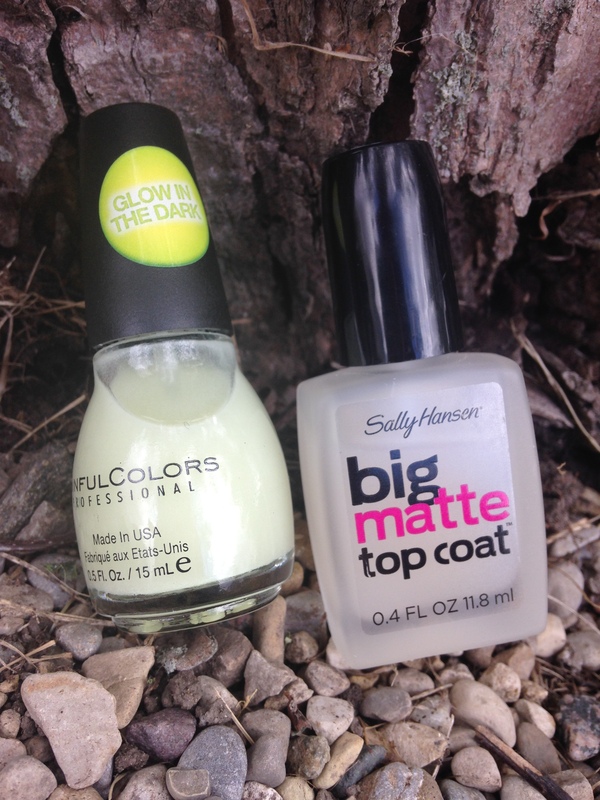 This is my new favorite white polish. 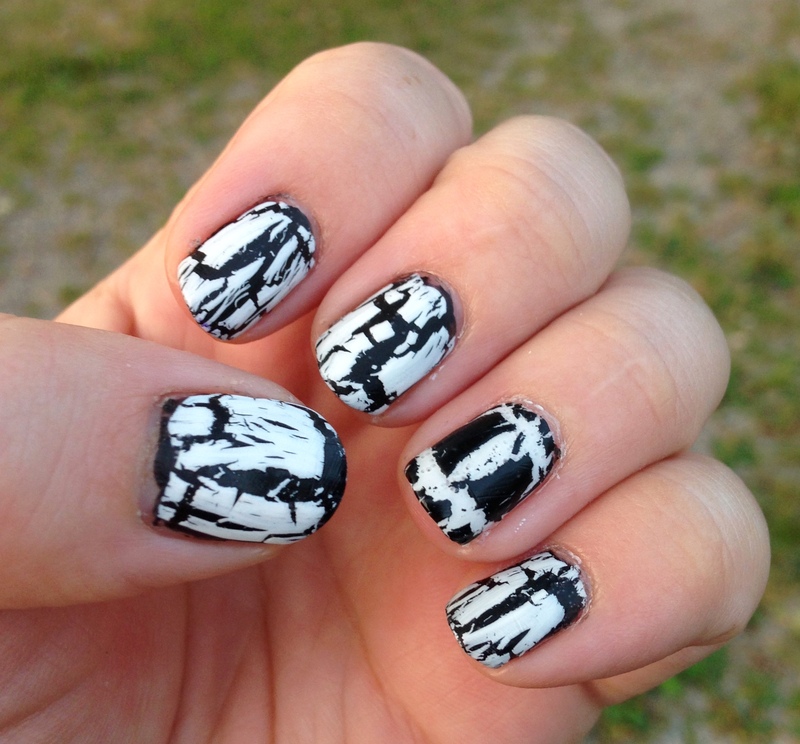 Two coats to be opaque, not streaky…just right. 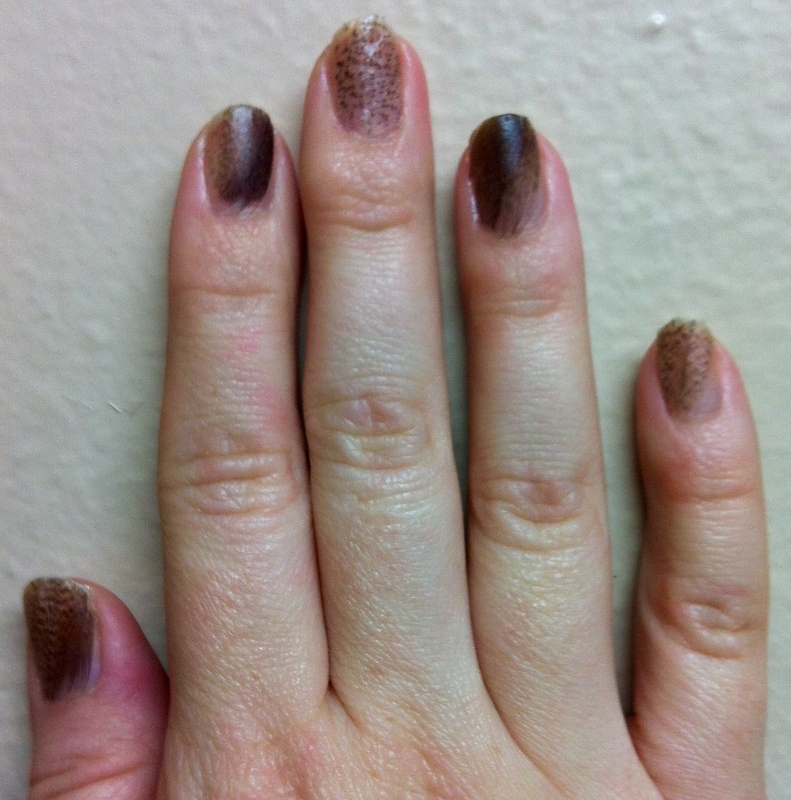 Once all of that was dry I topped it with Sally Hansen Big Matte Top Coat, which I think is a lovely matte topper. 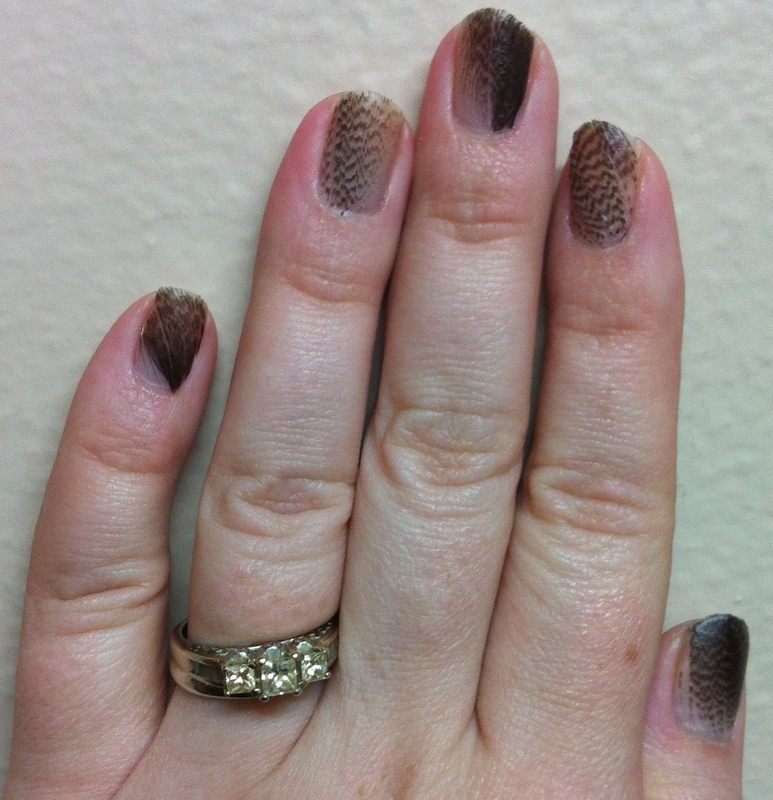 I wore this for days without any chips, and I am not easy on my nails. The accent nail is admittedly subtle to say the least, but I was just happy to not have another set of nails to file away in the fail folder. Maybe the bad streak is over! I hope everyone had a great weekend. Thanks for reading! I was in the mood to give something a try, so I got some feathers from my craft stuff and went to town. 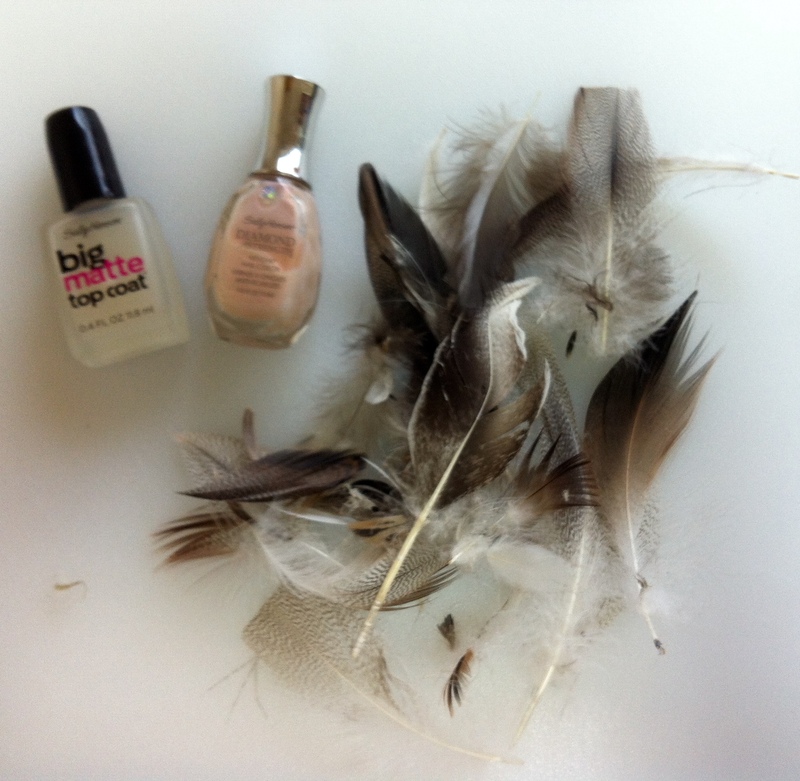 Aside from some scissors and a nail file, I only needed my polish and feathers. After a base coat (I rarely mention this….but it is something that I always use) I put on two coats of Sally Hansen Diamond Strength Brilliant Blush. 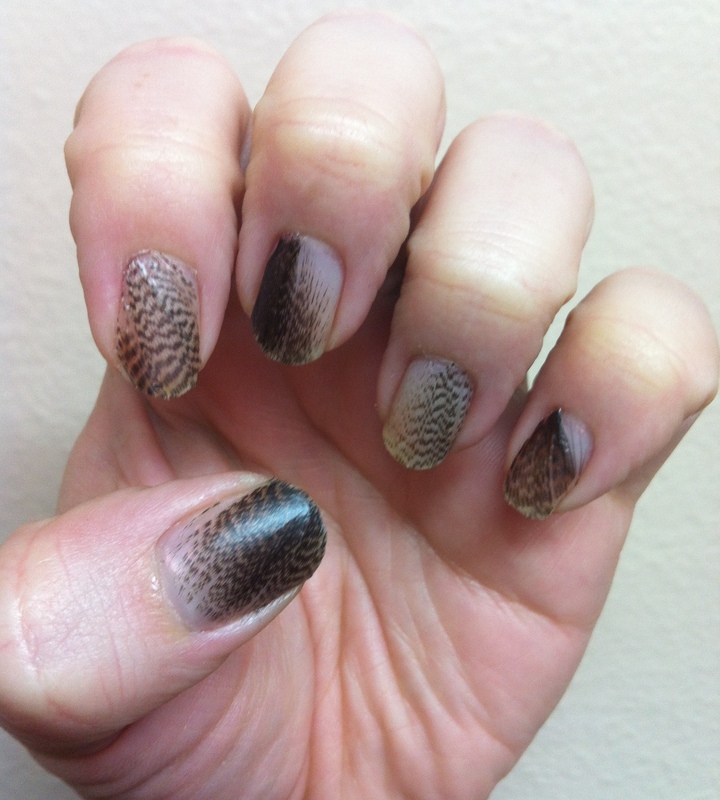 This polish is very sheer and gave a nice base that would not distract at all from the natural feathers. 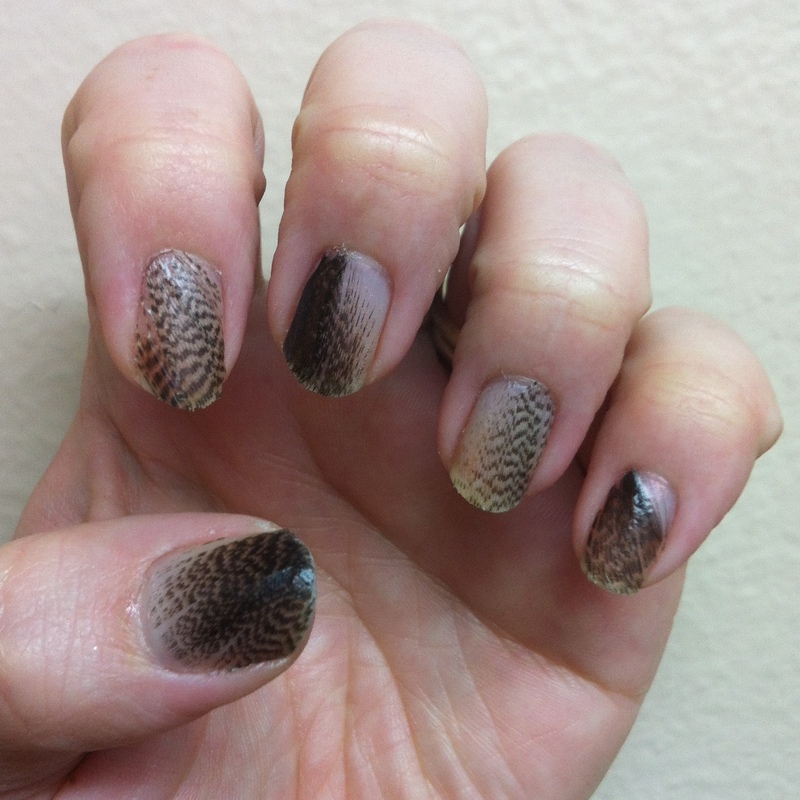 Then, one nail at a time I added a third coat of the Blush and then laid a feather on top of it. I chose the feather I wanted before I painted since there wouldn’t be much play time. 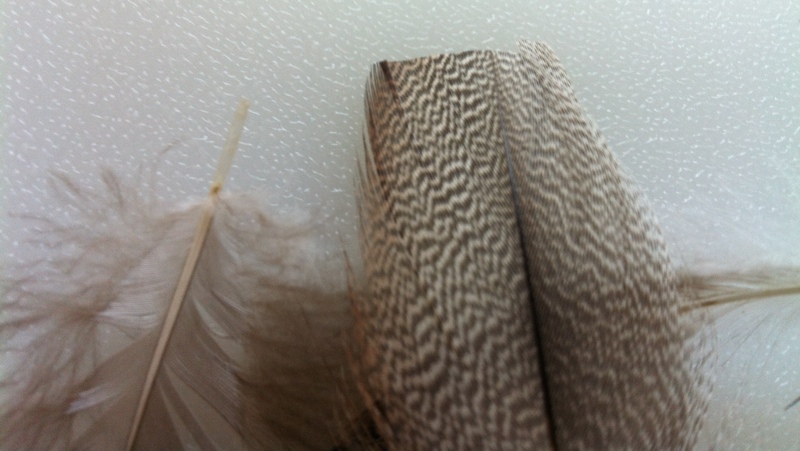 I was using sterilized goose feathers, all in natural colors, no dye. Here you can see where I cut one off. 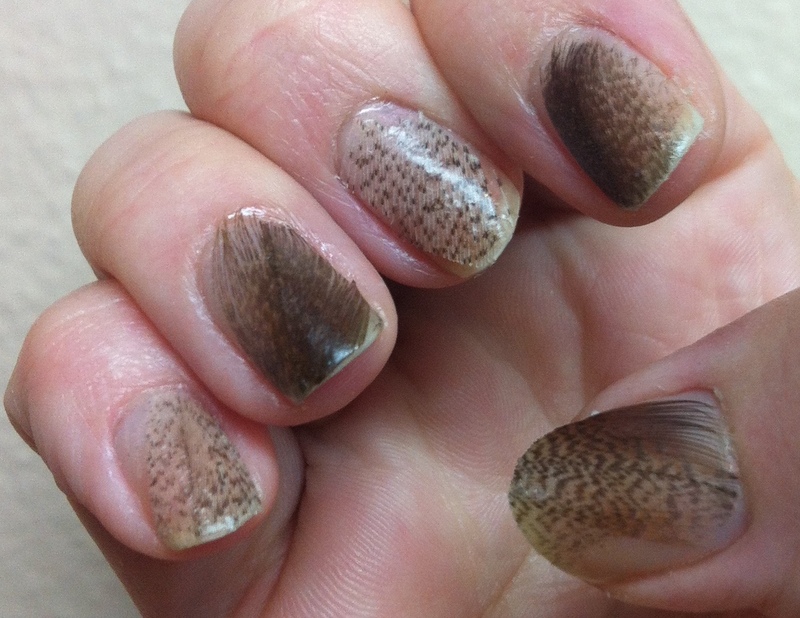 I would cut off a bigger piece, let it harden up, then go in and trim to to my nail. I finished off by filing it down to my nail. 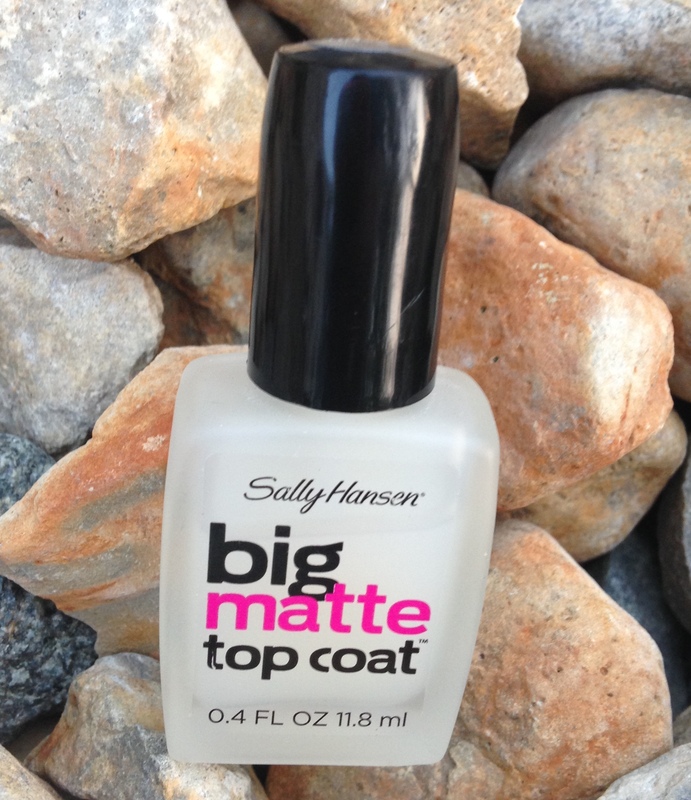 Next, I used two coats of matte top coat. I wanted the matte for this look since everything was so neutral and natural, a glossy sheen seemed odd. Here’s what I ended up with! I like the variety of the different patterns of the feathers. This was a very unique look without much effort. I wonder about using some of the dyed craft feathers now….neon summer colors would be fun. Have you used any feathers? What do you like?